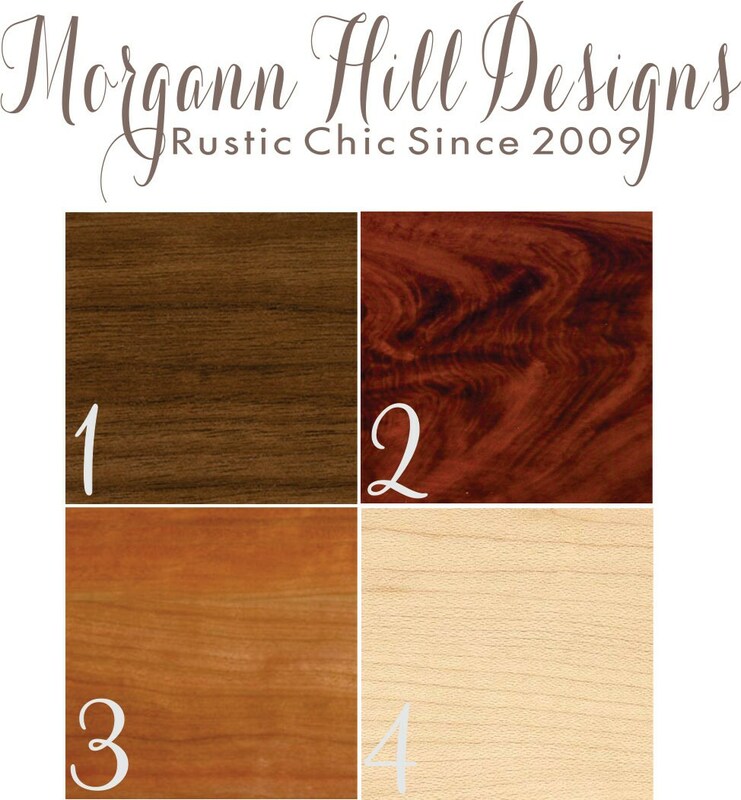 This personalized SET makes a beautiful gift for weddings, holidays, bridal showers, engagement parties, and housewarming parties. 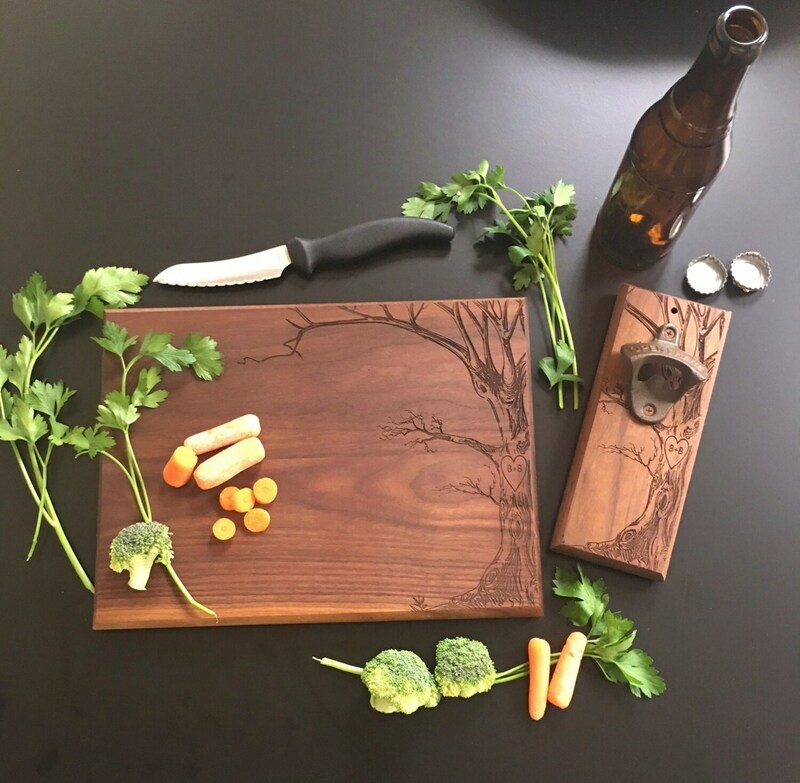 We use only the highest quality, domestic USA woods, and we take great pride in ensuring each cutting board has beautiful engraving. 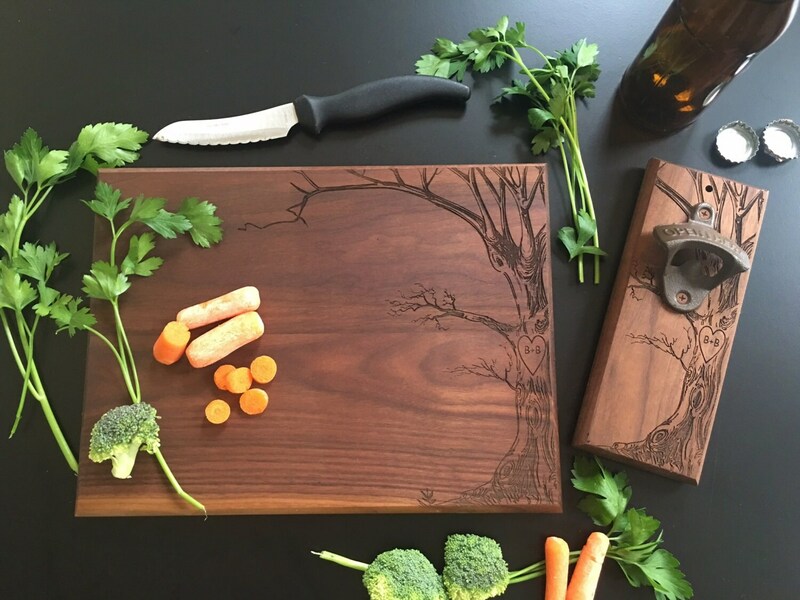 Our cutting boards are completely made by hand & transformed from raw wood into a timeless piece of art perfect for a "cooks" kitchen! 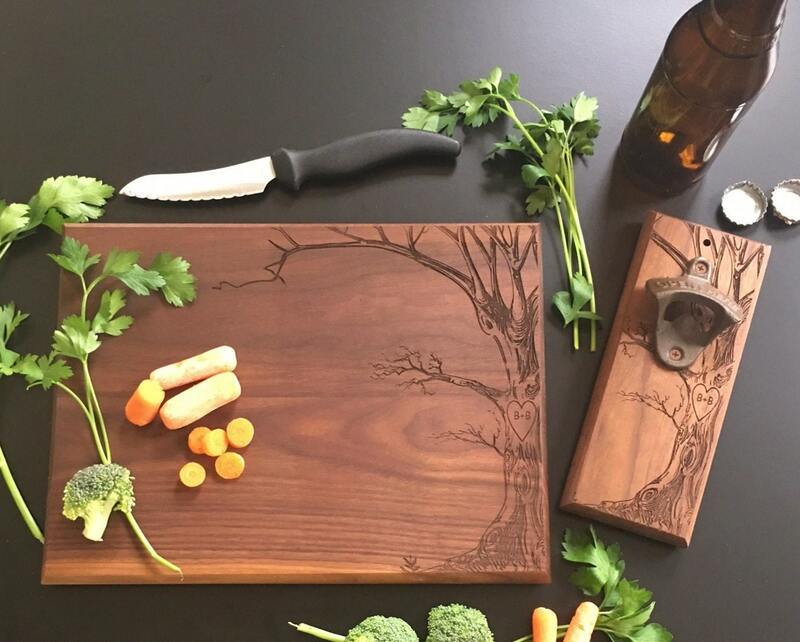 Buy with confidence, are cutting boards are really that amazing! 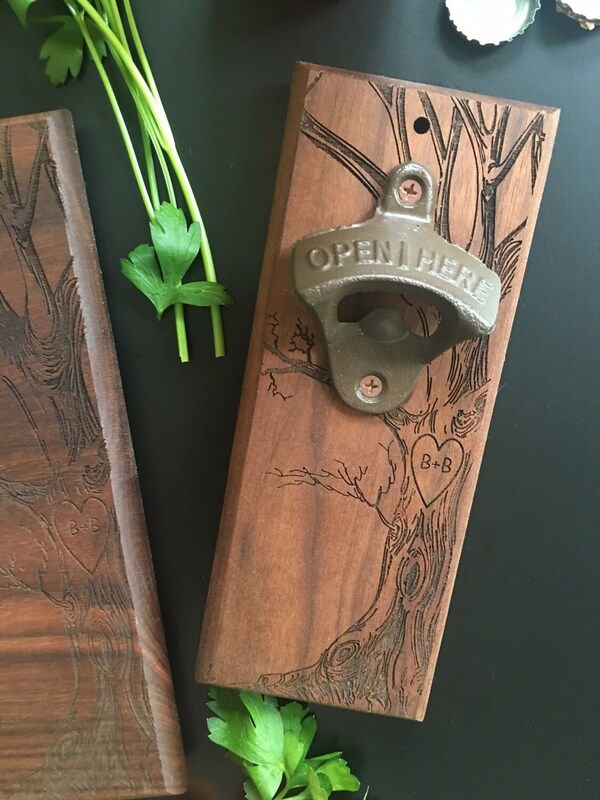 Cutting board measures 12" x 9" x 3/4"
Bottle opener measures 8" x 3.5" x 3/4"
- The engraving you would like -- Any two initials.